This dictionary is intended for Sinology researchers and public use. It contains more than 100 thousand Chinese characters. 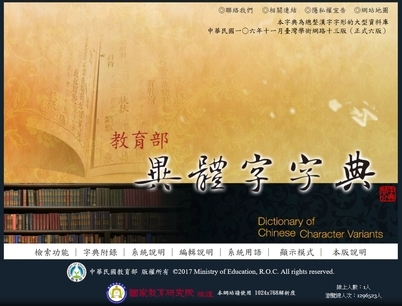 A character databank that results from the efforts of many specialists in Chinese orthography. This dictionary comes with 15 appendices including different tables of Chinese characters used in Japanese, Korean, folk literature, Chinese dialects, and so on.